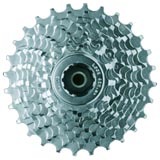 There are two types of gearing: internal and external. Internal gearing is employed most commonly in investment funds through the use of options, futures or other derivatives. These financial products allow investors to take part in the return of an underlying security without actually owning it. External gearing normally involves a retail investor borrowing money from a lending institution to finance the purchase of an asset that costs much more than the investor’s own capital could afford. A mortgage is probably the most common form of external gearing. A misconception of most people is that ‘gearing’ or using leverage is a financial strategy employed only by speculators and those who are highly inclined to risk. According to an English language dictionary, leveraging is defined as: ‘The use of credit or borrowed funds to improve one’s speculative capacity and increase the rate of return from an investment, as in buying securities on margin. According to the definition above, an increased reward exists for gearing an investment. For the mortgage holder, the reward is simple: home ownership, but for others it may not be so clear what affect gearing can have. The direct reward is that the growth in the value of the purchased asset is multiplied. For example, an investor purchases $100,000 of shares, and borrows $200,000 from a bank to add to that investment. The shares grow 10% in value, meaning the value of the total investment has grown from an initial $300,000 to $330,000. When the loan of $200,000 is paid back, the investor would be left with $130,000 for a profit of 30%, assuming the loan carries no interest payments. This is much more than the actual growth in the value of the shares – the extra growth is due to the gearing. Obviously, banks are not charities; they don’t generally extend interest-free loans. However, interest rates are currently at historic lows. If money borrowed can be efficiently allocated to an investment that will grow at a greater rate than the cost of the credit, it is simple to make a profit. Gearing also affects investment risk. In the example above, if the shares had fallen by 10%, the investor would have lost 30% after he paid back his interest free loan. Gearing therefore magnifies both reward and risk equally. By combining leverage with capital guaranteed products large losses can be avoided. Losses are reduced to the annual interest rate due on the loan. The main advantage of gearing is apparent when used to increase diversity in a portfolio of assets. An astute investor uses gearing to spread his investments into non-correlated asset classes that can make money in all market conditions. Such diversification will actually increase returns while decreasing risk. In summary, gearing is a simple method to increase returns and also diversify an entire investment portfolio. The attractiveness of gearing is currently accentuated by low interest rates on credit facilities.